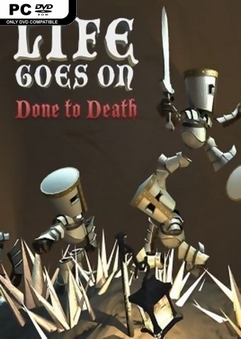 Life Goes On: Done to Death is a comically-morbid platformer where you guide heroic knights to their demise and use the dead bodies to solve puzzles. Wanting to live forever, a mighty king sends his army of knights to find the Cup of Life. Developer: Infinite Monkeys Entertainment Ltd. Publisher: Infinite Monkeys Entertainment Ltd. NOTE: The game is updated to v2.02, language can be changed in the Options menu. 4. Enjoy. And please buy it if you like it.